I-Berhad is set to build 348 condominium units and 20 duplex houses in the city of digital lights in Seksyen 7 here. Each residential unit in i-City starts from RM340,000. The i-Residence project constituted 20 per cent of the 29ha i-City development, I-Berhad CEO Datuk Eu Hong Chew told reporters after the ground-breaking ceremony officiated by Selangor Menteri Besar Tan Sri Abdul Khalid Ibrahim here today. 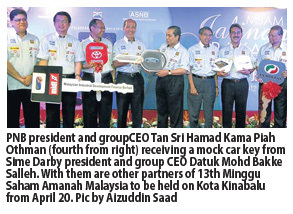 Present was Shah Alam Mayor Datuk Mohd Jaafar Mohd Atan. Eu said i-City, dubbed the first lighscape tourism destination in Malaysia with state-of-the-art LED technology showcase, would also have a new attraction inspired by Clarke Quay, a riverside development in Singapore. It was in line with the state government's project to upgrade the 7-km Sungai Rasau that cuts across i-City, he said. "We will build floating restaurants like Clarke Quay that can draw more tourists but the project will start after the Sungai Rasau upgrade that is expected to take about nine months," he said. 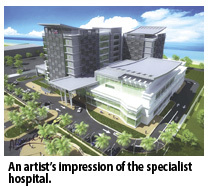 This development was included in the estimated gross development value of RM1 billion, he added. 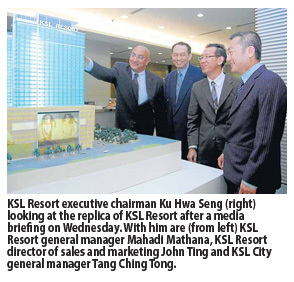 PETALING JAYA: Malaysia Building Society Bhd (MBSB) expects to realise more than RM200mil from the sale of strategic land in Sungai Buloh and Johor. “The Johor land will be disposed of under a scheme endorsed by the board this morning, while the Sungai Buloh land disposal is still waiting for legal confirmation,” said MBSB president and chief executive officer Datuk Ahmad Zaini Othman. He said the company would sell and recover in full its investments while also benefiting from land appreciation over the years. 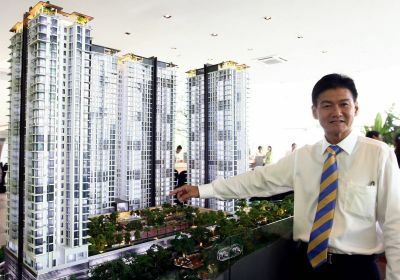 “By Monday you would see some bidding process, and another piece of Johor land under the disposal scheme is waiting for the customer to confirm payment,” he said after the company AGM. According to its annual report, the company owns 22.7 acres of leasehold land in Bandar Yahya Awal in Johor and 14-acre freehold land in Sungai Buloh. They have a combined net book value of RM93mil. The company still has about 58 acres of vacant land in different parts of Malacca with a book value of RM53.1mil which is said to be legacy land left by the previous management who had attempted to venture into property development, albeit unsuccessfully. MBSB, which is 65.5%-owned by the Employees Provident Fund (EPF), also expects to grow its loan base by 15%-20% this year, after recording net loans and advances growth of 42% to RM15.2bil compared to the same period in 2010. 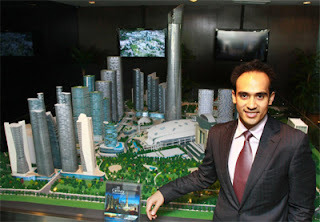 Riding on that achievement, MBSB doubled its net profit to RM325.4mil for 2011 from RM145mil in 2010. “We have a bigger loan target initially, but in the face of reality, market conditions and also the issue of domestic operating parameters, we feel that the target is a realistic figure,” Zaini said. On potential mergers and acquisitions, he said it was up to the shareholders to decide. “My mandate is very simple, which is to make as much profit as possible for the company. At this stage, we don't have any plan for any corporate exercise,” he said. He said this was the third year MBSB was under the new management transformation programme. “There will be further initiatives to strengthen the business. Over the last three years, we have achieved a collective profit before tax of RM715mil, which included the provision of about RM300mil. All in all, we have made about RM1bil excluding the provision,” he said. On the company's expansion plan, he said MBSB would open 10 more branches in addition to 10 representative offices throughout the country. “We would spend about RM700,000 to set up each branch. It would be quite extensive in terms of look and services, and we would focus more on fee-based income at our branches,” he said. 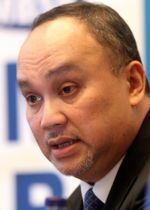 On the responsible lending guidelines imposed on the financial industry by Bank Negara, Zaini said the company was operating under the guidelines although it was not governed by them. “The guidelines are not entirely new to us as we had always look at an individual's disposable income. As such, we do not expect a big impact as a result, We are always sensitive and mindful of the authorities' reasons for such guidelines,” he said. He also expects the recent pay hike for civil servants to benefit MBSB's personal finance business.